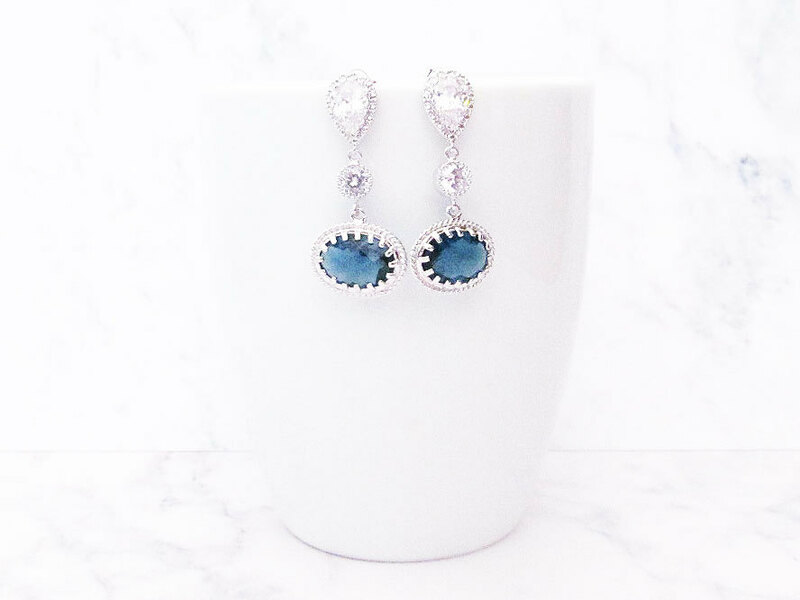 We love these navy blue wedding earrings spotted at Twixt Designs! We’ve selected them as today’s handmade-a-day find because they’re totally gorgeous, a great price, look great on your wedding day and beyond, and count as your “something blue”. Great for the bride or bridesmaids (especially if you opt for navy bridesmaid dresses, which are always a good idea). Take a look! 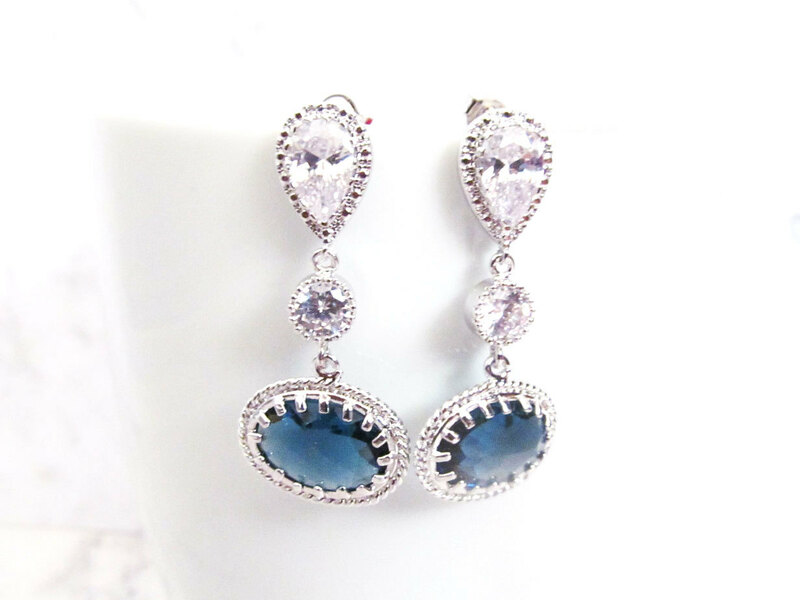 This pair of navy blue wedding earrings feature a vintage inspired design and a touch of glamour. 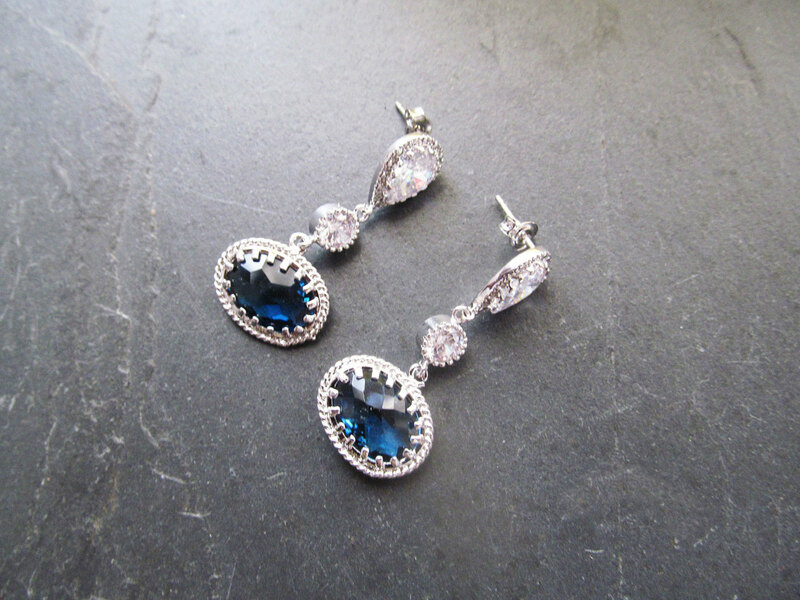 They are made with rhodhium plated brass, dark navy blue glass drop, cubic zircon components, and have standard posts. Giveaway: Win a FREE Thumbprint Tree!